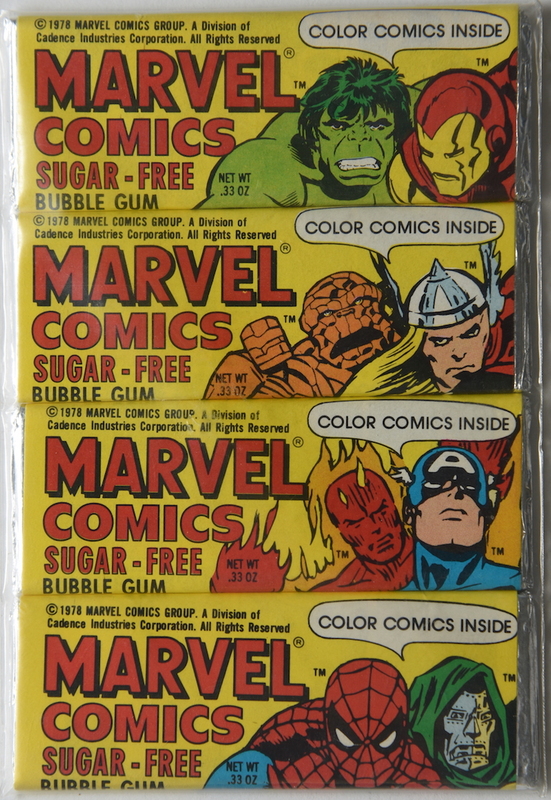 Size: 1 14/" x 3 1/2"
Company: Topps Chewing Gum, Inc. Description: This is an unopened pack of four Marvel Comics sugar-free bubble gum packs that contain a stick of gum and a comic on the inside of the wrapper. Each wrapper has a fortune by Dr. Strange on the bottom of the comic. The wrappers are also in the collection.